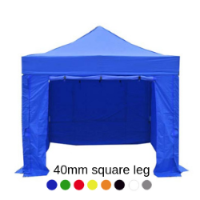 Welcome to our Marquees and Gazebos page. We can supply a variety of frames made from aluminium or steel. Leg profiles can be square or hexagonal. 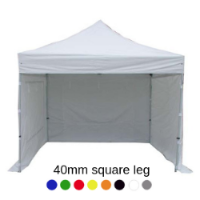 Fully complete marquees, supplied with or without a set of side walls. Logos can be added, please contact us for prices and availability.